If Long Island Bagel Cafe owner Randy Narod could have his way, the sun would never set on the bagel chain. 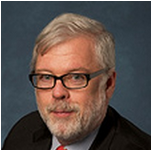 “Whatever markets are out there that apply to us, we’re going to go for,” Narod said. The Mineola store at 175 E. Jericho Turnpike, known for fluffy bagels and hearty breakfast deals, is the 10th outlet in a regional chain of the restaurants and hasn’t lost a step on the competition, Narod said. “Mineola has been really grateful since we opened up shop and it hasn’t gone unnoticed,” he said. The chain hasn’t slowed its ambitions of expanding. “Ideally, we want to keep opening one store a year,” Narod said. Long Island Bagel Cafe is in the process of signing a lease for a prospective location in Massapequa and another on the boardwalk in Brighton Beach, Brooklyn. The Brooklyn location would be the chain’s first not on Long Island, but probably not the last. The business is also in preliminary talks to open a location in Orlando, Florida, within the Walt Disney Co.’s properties. “There’s no bagel concept like us in all of Disney,” Narod said. Despite talks of increasing the chain’s reach and possibly running out of viable locations for new stores locally, Long Island is always going to be the top focus, Narod said. The first store, which was originally named Oceanside’s Original 24 Hour Bagel, came to fruition when Narod’s brother-in-law and now co-owner Joseph Anzalone was confident the two could strike out on their own in the business with the experience he had amassed working for others. 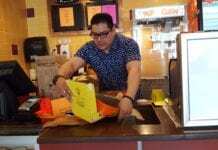 Since opening the Mineola location last September he regularly hears praise from customers, but checks the stores’ Yelp rating anyway, for reassurance. “It’s a small thing but it says a lot about what goes on,” Narod said. The property itself was a large factor in deciding to open a Mineola store, and filling the husk of an old drive-thru bank was perfect, he said. 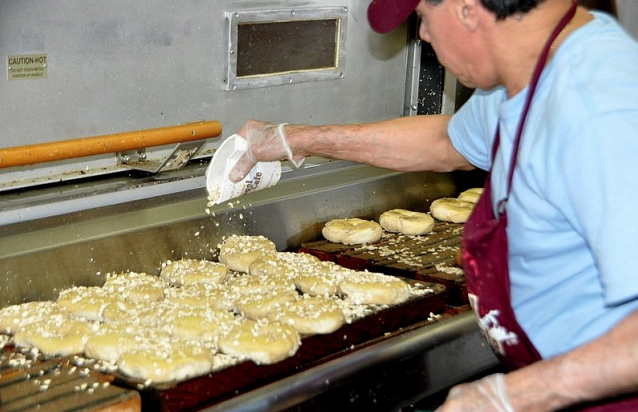 The chain is one of the few bagel stores on Long Island that still hand rolls and kettle bakes, and it makes a difference, Narod said. Service is just as important as quality for Narod. Though lines at the bagel store are often out the door, he takes pride in how quickly customers can get in and out. “It’s a big part of what we do,” Narod said. “A lot of times we’ll be overstaffed in the mornings and on weekends, because if people drive by and see how crowded it is they’re going to be discouraged. “Here, they don’t have to worry about it because we’re going to get them out quick,” Narod said. Jedidiah Hendrixson is reporter for Blank Slate Media covering New Hyde Park and the Willistons.